While many children with ADHD have found relief with medication, parents are often hesitant to allow their children to take medications. 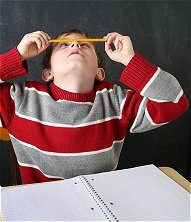 However, it has been shown that the most common medications for ADHD – stimulants – are actually safe when used correctly. Furthermore, treatment plans for ADHD in children involve close monitoring by both a parent and a medical professional, to ensure that the treatment is effective. Behavioral therapy often accompanies medication. So don’t be afraid to give your child access to medications that could be the bridge between your child and success in school and in life. If you feel you or your child may have ADHD, the licensed professionals at Arista Counseling and Psychotherapy can assist you. Contact our Bergen County, New Jersey or Manhattan offices of psychologists, psychiatrists, and psychotherapists at (201) 368-3700 or (212) 722-1920. Visit http://www.acenterfortherapy.com for more information.